Few days more, and the long rumoured iPhone 6 will bang the real world on September 9 to explode the ‘rumour-world’ with its sovereignty. It’s been a while when first rumour dropped on the land to create a complete new world. And, take a wink to blossom with bazillions of leaks. I still remember when I first saw the name of new iPhone and felt jangling somewhere inside me. What I’ve reacted, I think you would have also done the same. Well, controlling my pleasure to write about much anticipated iPhone 6, let’s begin with the beginning. The rumour mill had started with number of speculations. To be believed and not to be, but the greater part which we have received is the screen size of next iteration of iPhone. Apple has always tried to bring its future generations of iPhone with few changes and new additions. But, we have no idea what is cooking in their mind. The rumour, which has been spread everywhere over Internet has landed, forcing people to believe on the same, and speaks about the bigger display as compared to all previous devices, having 4.7 inch diagonal. It is also speculated that this time, two models will be arriving in market (so was the case last time) to put everyone’s eyes on stalks as per Bloomberg report and The Wall Street Journal as per their report. The anticipated handsets will bear the displays of different sizes, including 4.7 inch iPhone 6 and the bigger 5.5 inch, which was found finding a name between iPhone L and iPhone Air. Design Rumours: Will it be More Thinner and Curvy? There are a huge list of rumors and leaks; elaborating each one is not an easy task. But, what these all rumors have disclosed, I’m trying to pen out here. The first update in design which is considered as an initial step of makeover is curved edges. The all previous generation of iPhone have straight edges while the line of hearsays have suggested the curved edges which will make the miraculous device more classy and stunning. Few reports had also came which were contradicting by speaking about the straight edges as per the report of Nowhereelse.fr. To maintain the decency and the elegance of iPhone, this much anticipated handset will also be surrounded by thinner bezel than its all big brothers. 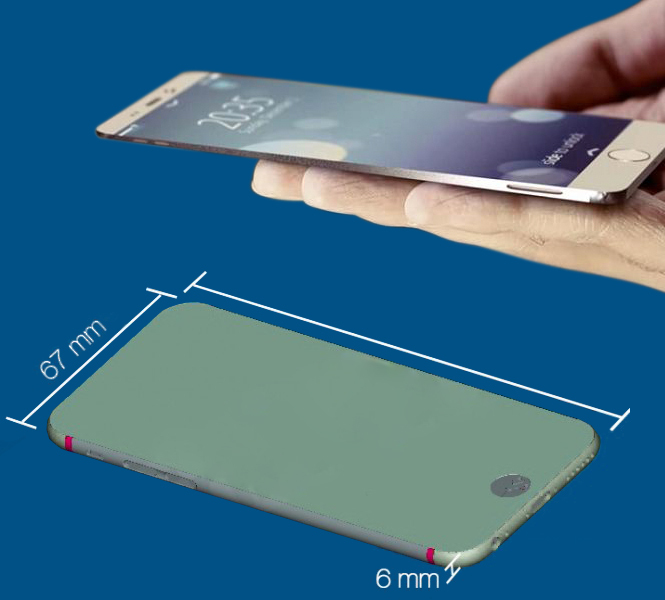 It is also said that the curved glass screen would also have the capability of sensing different levels of pressure. The next word which had received described about its thinner body (Approx 6mm thick) which could be possible by Liquid Metal technology. 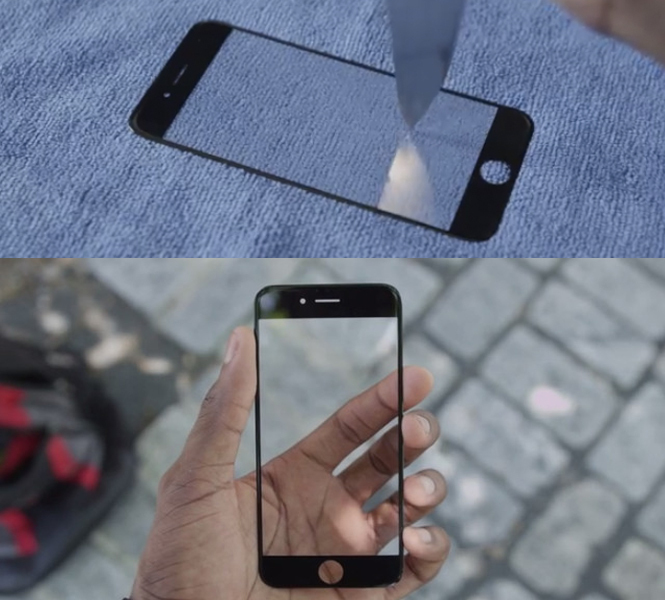 This technology will be used in the Apple’s next generation iPhone to make it handier even after the bigger display. 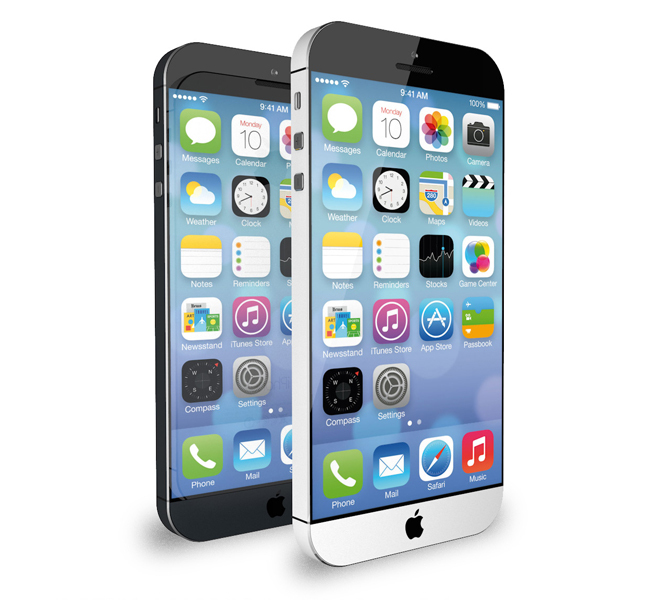 iPhone 6 is allegedly revamping with new design tweaks. If all rumors, leaks and reports are to be believed, then iPhone 6 may shift the sleep/wake button on right side from the top. 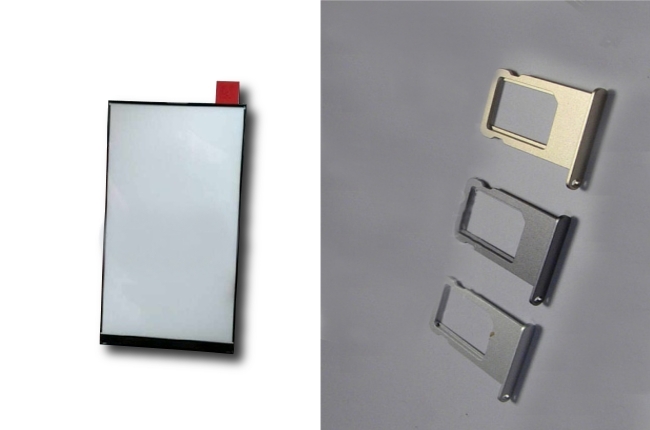 The images which were being posted by Macrumors earlier, also said to be 138x67x7mm sleek. Another biggest rumor from the bunch is its Sapphire Crystal Display. 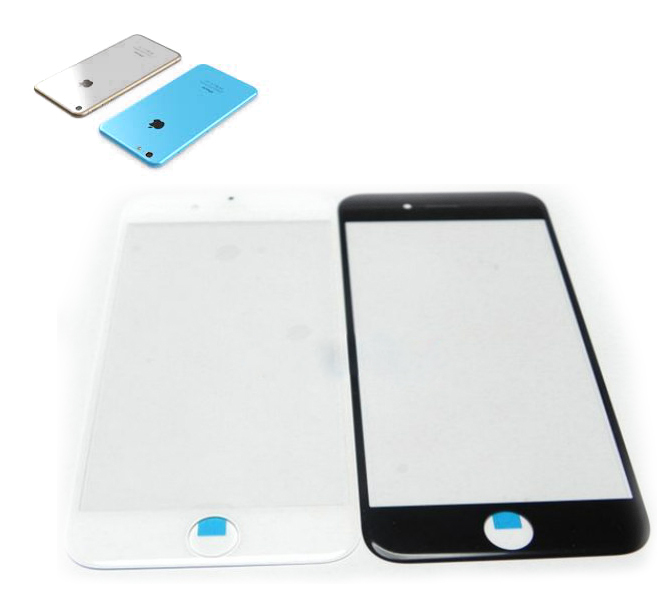 It is expected that the new generation of Apple iPhone will use Sapphire screen to make it more robust and durable. As the sapphire has the capability of scratch resistance and unbreakable. It is said that Apple will use the same LTPS technology for the display, which is used in all predecessors. As the sapphire display is too costly, so it is predicted that the alleged device may be priced high. 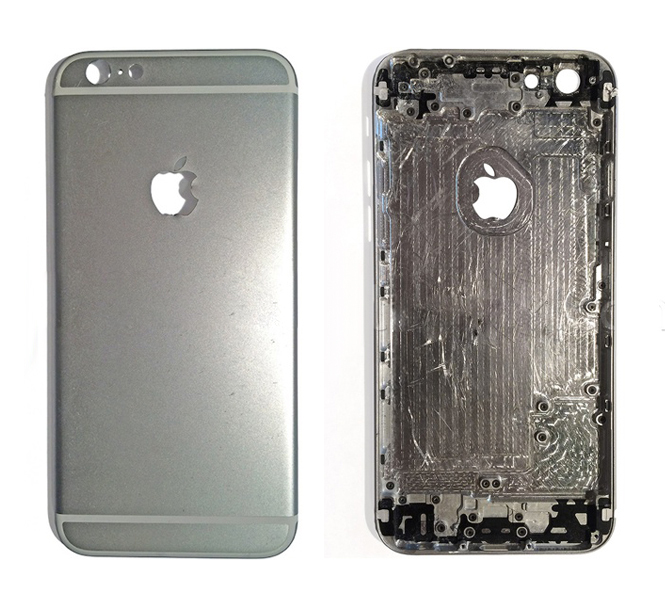 However, few reports declined from the sapphire display coating for all iPhone 6 devices. As per The Wall Street Journal report, the higher version of 4.7 inch and 5.5 inch model will be using this material. 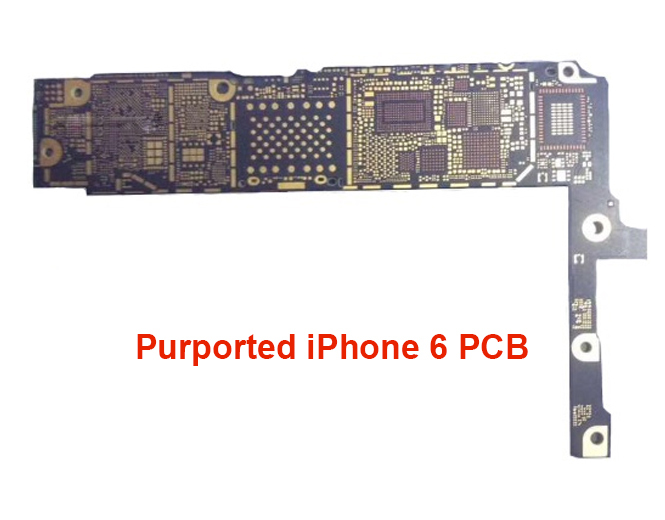 It is also speculated that Apple had spent out around $578 million on the material to build iPhone 6. If this sapphire glass will be coated over 5.5 inch phablet, then the price of this device would be hard to swallow. 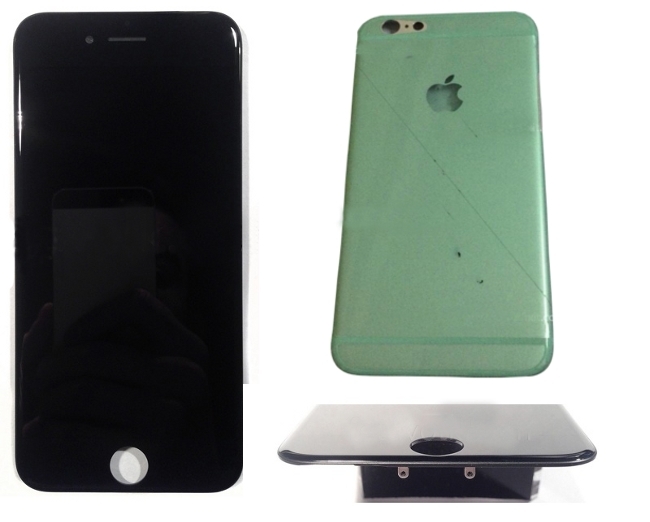 What Leaked Images of iPhone 6 Revealed about the Design? 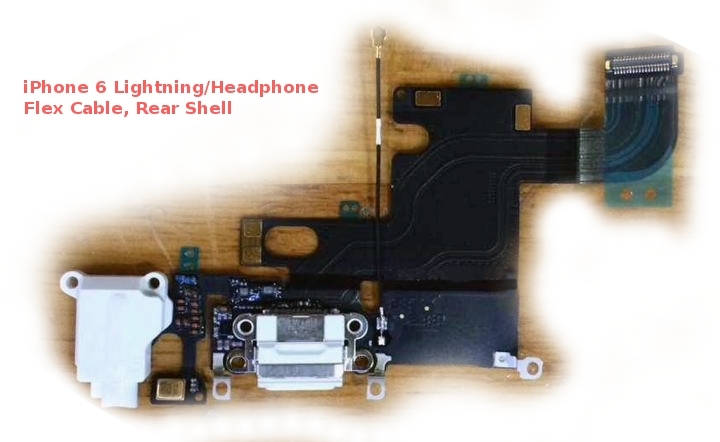 An array of images has been leaked for this much purported handset which belong to the front panel and back panel. Images of the putative iPhone 6 had begun to come in lights from April and since then it has become the favorite time pass for all. Everyday arrived with a new leaked image and ended with the different one and this is still going on as the event is counting down the clock. Initially, it was spotted with curved edges, redesigned wake/sleep button and bigger display. It was also leaked in an image that Cupertino giant will bring an illuminated Apple Logo on the back panel which will light up when any notification will arrive. But few weeks after, a new report spread out to contradict with old one. This new report has completely denied from this lightning logo. Leaked image has also elaborated about its iPad like design. It has been leaked in videos and images that the purported bigger smartphone has the Touch ID positioned at front panel on the home button. Images also reveal its redesigned speaker holes, volume buttons and many others. A scratch test had been also performed on the display to show its durability, but the later one has come out to leave us in questionable state to believe on its authenticity. Leaked images and rumours also suggested about its LED backlight to reduce the thickness while few other reports denied from this. 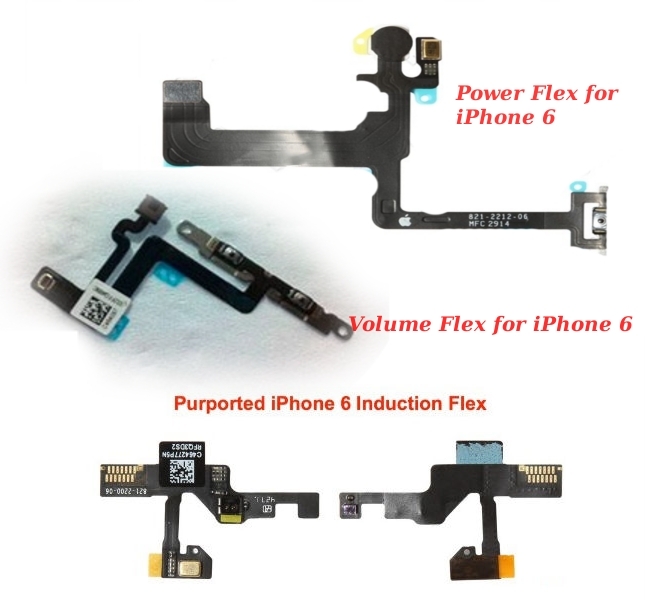 As per the reports, front and back panel of iPhone 6 are connected meticulously to embed several internal parts impeccably. 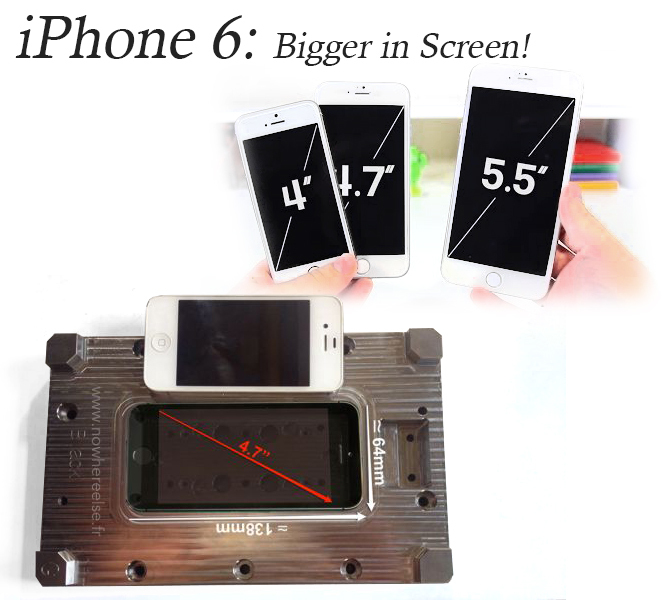 An another image has been spotted with a camera ring on rear panel of 4.7 inch and 5.5 inch iPhone 6 models. It is also expected as per leaks that dual-LED “True Tone” rear flash will be crafted on device for sharp and clear image output. Bunch of hearsays grown to prove its efficiency and capability. The more powerful, more efficient and faster than all its siblings, this device is expected to design with perfection. Well, begin with few rumors as an effort to summarize all. What’s inside to enhance the capability of this alleged handset is difficult to pen out here. But, trying my full efforts to bring them here for you. First of all, rumors have been swirling all-around for 128GB storage variant of iPhone 6. It is speculated that, both 4.7 inch and 5.5 inch model will come with 16GB, 64GB and 128GB storage options and 32GB variant has not been introduced this time. 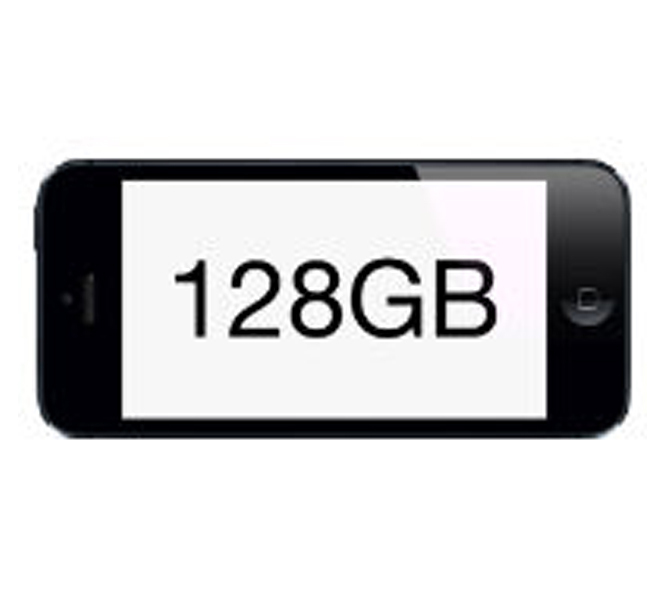 But later leaks suggested that 128GB will only come for the 5.5 inch model. And, just after few weeks another report busted out that the storage option will be coming for both. 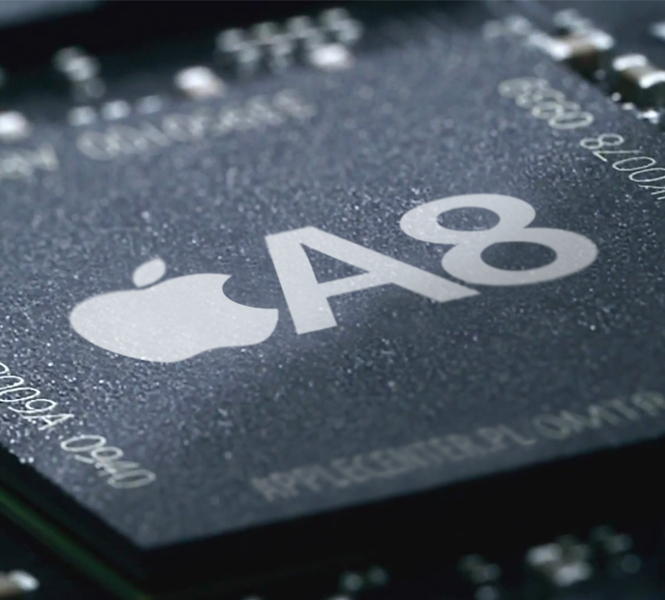 Next one in the bunch has spoken about the faster A8 processor. It was claimed by GforGames and Macrumours that the 20-nanometer A8 processor of Apple will be used in the alleged iPhone 6 to boast the performance of 2GHz or more. It is also said that the 5.5 inch model has more powerful processor than 4.7 inch model and it will also be upgraded with atmospheric sensor. It is also rumoured to equip with 1GB RAM. A report by DigiTimes has also suggested that TSMC will manufacture the processor for Cupertino giant. It is also speculated to clock at 2.6GHz and will be loaded with 802.11ac WiFi and LTE Advanced. It is also speculated that it may come with NFC Support. 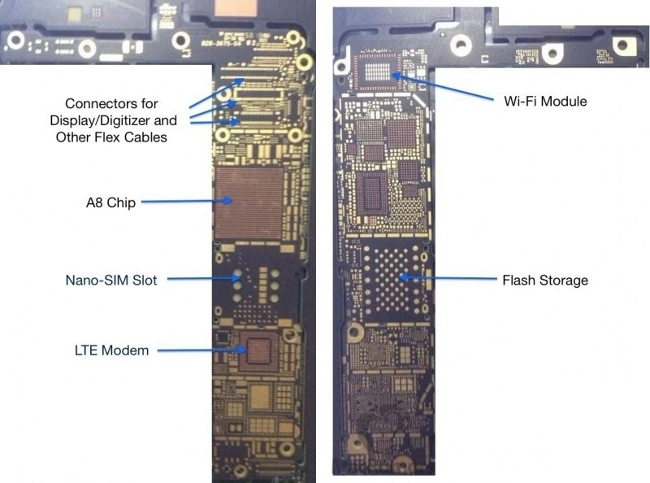 Some images were leaked earlier to inform about its NFC and 802.11ac connectivity features. It is also said by GeekBar that Qualcomm MDM9625 modem will be coupled in device to speed up the internet data speed. Battery is also not untouched from the bunch of canards. Several came with contradicting details to prove the capability and capacity of battery. 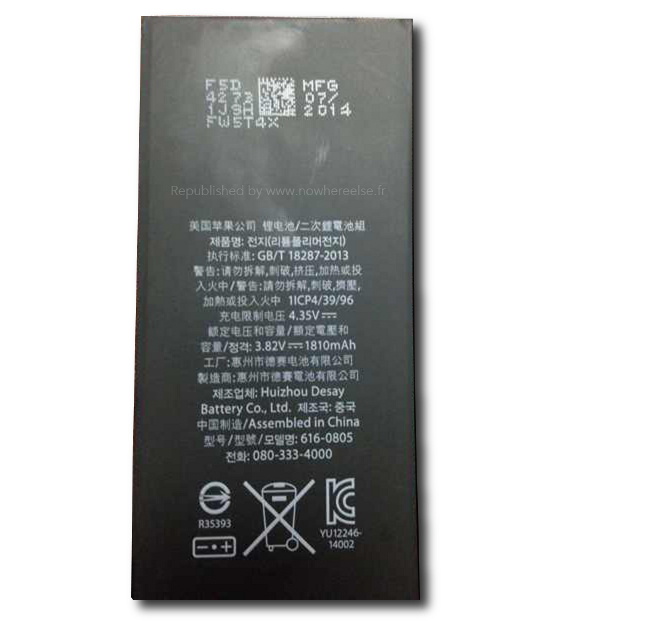 Nowhereelse.fr posted image of battery which was showing the 1,810mAh capacity for 4.7 inch model. On the other side, it is said that 2915mAh battery will pack in the Apple’s phablet to boost the energy. Wireless charging is another new invention in rumoured specs list. This will charge the device wirelessly and it is also suggested by some insiders that this new wireless technology for charging iPhone could be brought by a new Broadcom chip. 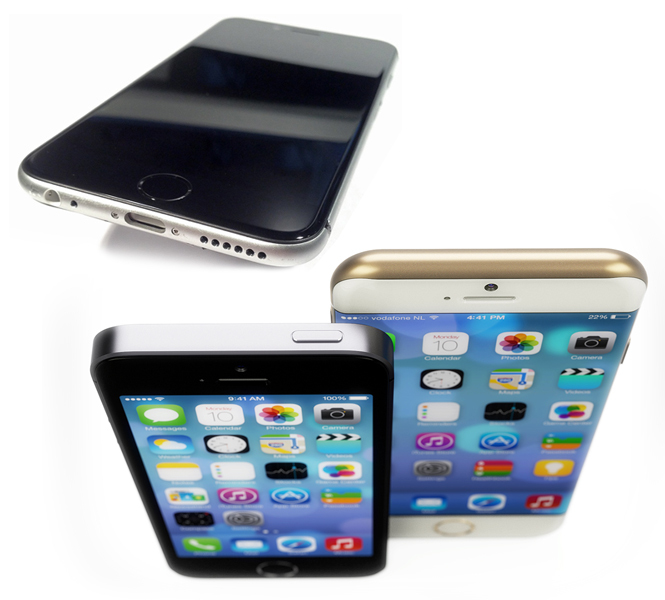 A number of contradicting reports have been seen for the camera of alleged iPhone 6. 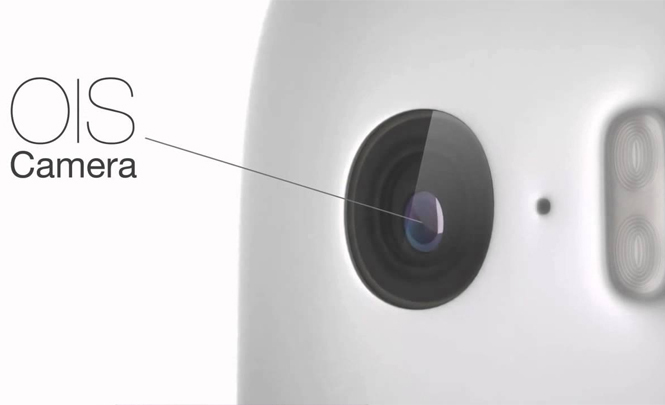 An earlier leak suggested about the 10MP of camera with f/1.8 aperture and an improved filter. But, later it has been denied and speculated that no camera improvements will introduce for the next iteration of iPhone 6. It will also have the same 8MP camera as iPhone 5s. But, there are rumours that few other sections of camera will be enhanced with new features like Optical Image Stabilization to improve the sharpness. This technique is probably seen on DSLR lenses. 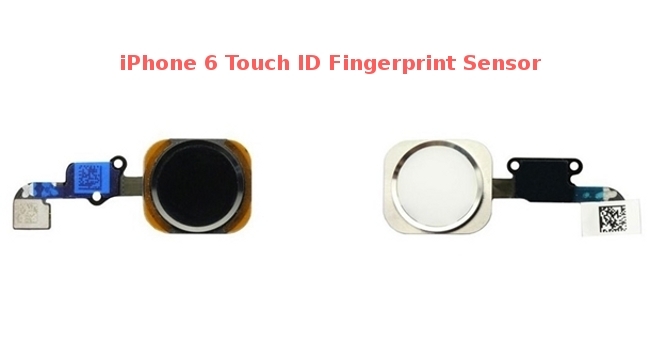 It is also said to come with Touch ID sensor which is Apple’s biometric fingerprint scanner. 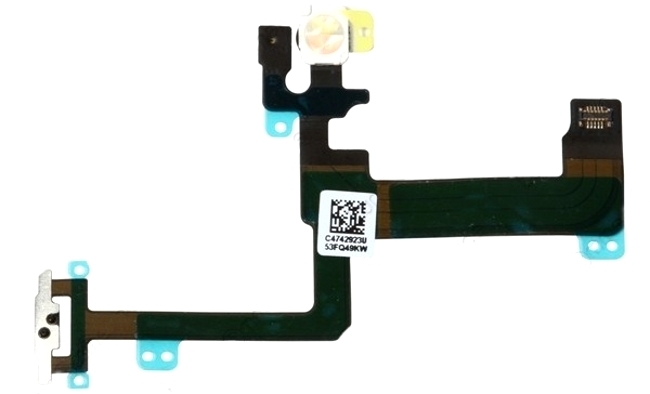 It is rumoured that this sensor would be incorporated on home button. 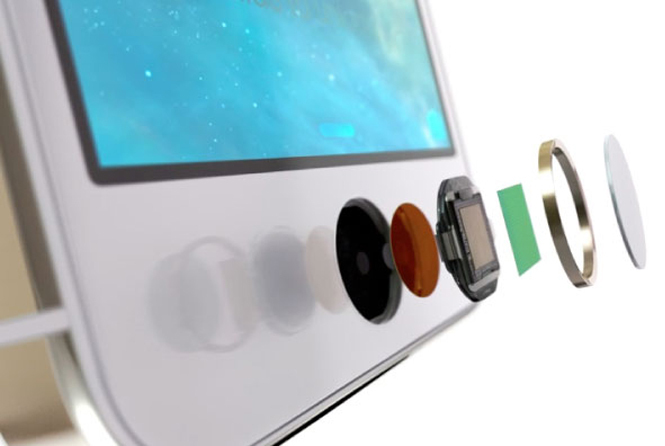 Few leaked images have revealed about the home button with Touch ID. 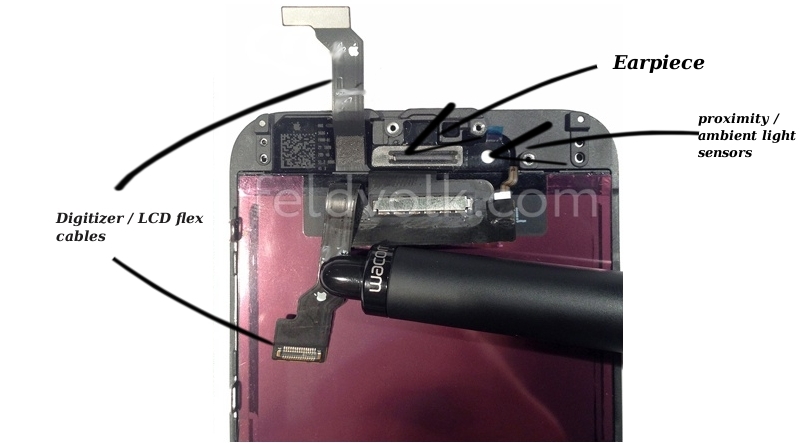 It is also expected that Home button will be replaced and gesture touch support will take place of this. There is a chance that retina scanning technology might be used by the future iPhone. It is also claimed by some reports that iPhone 6 will run on Apple’s latest iOS 8 which was showcased in WWDC 2014. Here, I’m trying to provide you an overall component view which was leaked in images. All will be combined in the device to form a miraculous device, iPhone 6. Bunch of the front and rear panel’s internal parts and components’ images are listed here to frame the device. 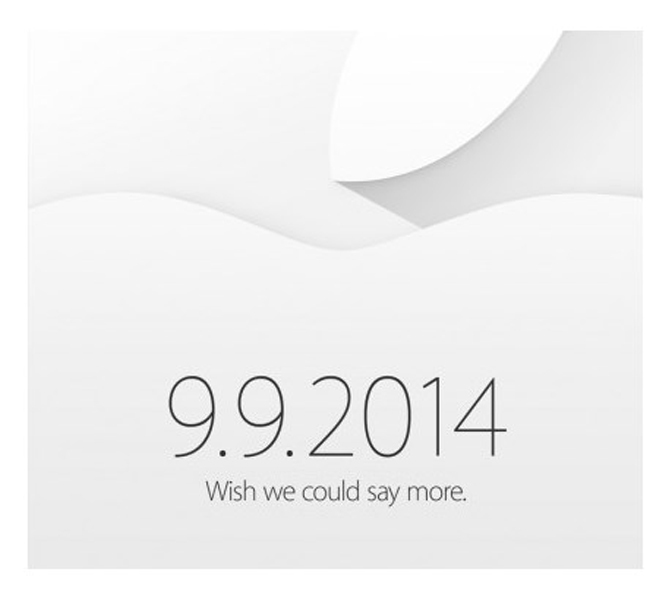 It has been confirmed that Apple is ready to come with its biggest event on September 9. Invitations have sent out for the biggest event which will be held in Cupertino, California. It is expected that the most awaited iPhone 6 will launch there. It is also expected that it will be reaching in market for customers on September 19. Reports are speaking that the 4.7 inch model will be showcased on September 9, while the bigger one will introduce next year in 2015. It was claimed earlier that the 5.5 inch iPhone 6 faced the production glitches and this is the only reason to put this device’s launch on the back burner. Lots of rumours rolled out earlier for the releasing date; some told about the prior launch, some reported the delay launching but now all is a vain as Apple has confirmed about the event by its quite elegant invitation. 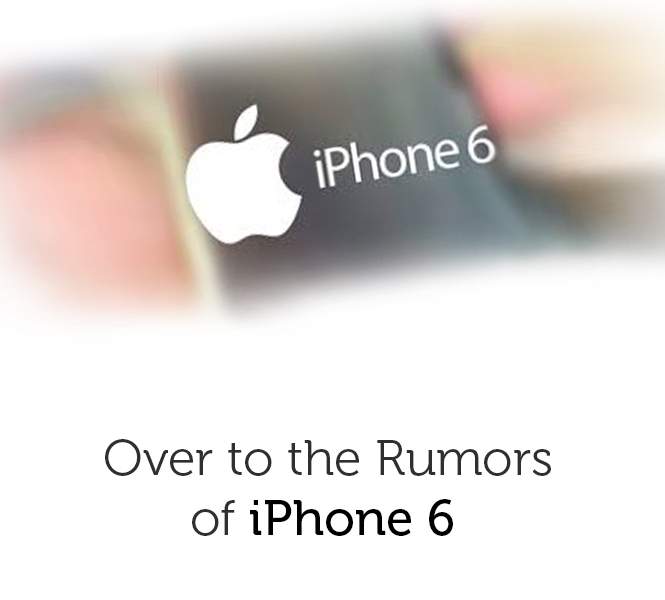 iPhone 6: How much Certainty in the Bunch of Rumours? Rumours and leaks are very close to their termination, as the event for the much anticipated iPhone 6 has been set for September 9, 2014. It’s first time when, Apple’s one of important products has lived in a variety of rumours. No one would have imagined that it will be reaching to this extent. Apart from this, Apple is tight lipped to speak a single word about it. We have discussed over here a huge list of rumours and leaks, but it’s still too small for the legendary device to describe its tangibility. Whether to take all these rumours as a pinch of salt or not, doesn’t lead us to any certainty. Except the Apple guys, no one can precisely say anything about the iPhone 6. It would be known when the device will finally showcase in Apple’s September 9 Event.